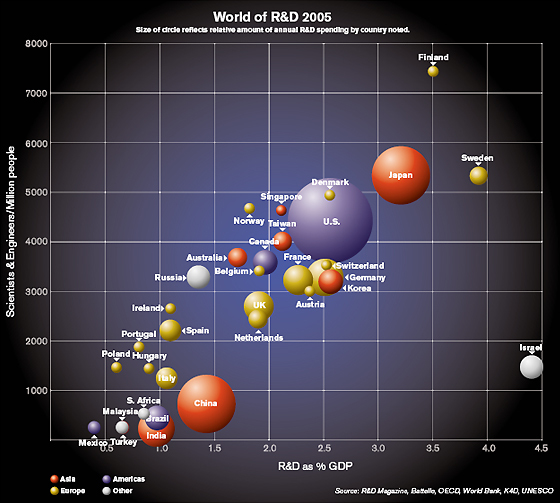 Scatterplot of current R&D funding and scientists/engineers per capita in various countries. [Drexler’s] reasoning here was that if nanotechnology was going to be developed anyway, whether he helped it along or not, then it was crucial that it be invented here in America, or at least by one of the free democracies wherever they were located, East or West. This was crucial because the first nation to develop nanotechnology would thereby become the world’s dominant power, “the Leading Force”. That nation, whoever it was, could build weapons that no other country would have defenses against. Its citizens would become healthy, wealthy, and young overnight. It would be Them against everyone else. Moreover, it was not out of bounds to imagine one of the more unspoiled worldly monarchies being the first to develop nanotechnology. Nanotechnology research, after all, was not “big science” in the usual sense. You didn’t need anything like a Manhattan Project or an Apollo program or a Superconducting Supercollider effort to get the thing going. Conceivably, you could do it in a garage. You could do simulations of molecular machines on a personal computer; you could create billions of molecular structures in a test tube; you could custom-make DNA in a desktop synthesizer. All you needed for the great breakthrough was a laboratory, some extremely smart people and programming, and lots of luck at getting things right. The above was written in 1995. “Healthy, wealthy and young” will perhaps not happen overnight, but after only a few years is indeed imaginable. Tabletop or industrial nanofactories would allow their owners to fabricate any quantity of medical equipment with raw materials and the engineering design being the only costs. To truly defeat old age will require a thorough understanding of how the 7 mechanisms of senescence do damage and how to heal that damage without unhealthy side effects. Health will be boosted greatly by injecting ourselves with artificial antibodies and bacteriophages when they are developed, which should be before the closing of the second decade of this century. Wealth is probably the easiest item on the list to achieve, because what we consider wealth is largely based on material products, which can be manufactured in abundance when fabrication processes achieve high throughputs and are entirely automated. The size, mass, energy requirement, and duplication time of this nanofactory design depend heavily on the properties of the fabricator. 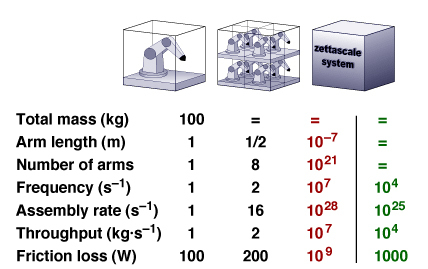 … a tabletop nanofactory (1x1x1/2 meters) might weigh 10 kg or less, produce 4 kg of diamondoid (~10.5 cm cube) in 3 hours, and require as little as fifteen hours to produce a duplicate nanofactory. Say that this first nanofactory is used to make a duplicate nanofactory, then both nanofactories are used to make duplicates, and so on, until you have 200 million units, ready for distribution to the majority of households in the nation. How long would this take? Under 28 duplication cycles, or approximately 18 days. In our model that would be January 19th, 2020. Assuming another week for distribution, this would put nanofactories into most homes in under a month since the technology was initially completed. To compare, the time it took for the Internet to be adopted by 50% of American households since its invention was about 15 years. The MP3 player and cell phone have arguably taken far less time to achieve 50% adoption, more like a few years. Nanofactories could achieve 50% adoption in weeks, possibly months or years if the price is kept artificially high, which is Michael Vassar’s scenario in his Corporate Cornucopia paper. In any case, once a nation has 200 million nanofactories and the necessary raw materials, it could theoretically fabricate 2.3 billion metric tons of product per year, mostly durable goods, a productivity rate much greater than those seen in contemporary economies. Early nanofactories would likely have high power and feedstock requirements, so the exponential explosion outlined above would be rather delayed. The described model is partially based on the assumption that, unless a nanofactory has relatively low power requirements and can accept non-perfect feedstock, it isn’t really going to be mass produced anyway. The question is, will the technology be available to everyone, or will it be guarded by a jealous few? On the downside, restricting nanotechnology would have a horrible negative effect on many of the poorest people in the world, who have little access to housing, electricity, water, and other basic needs. Because the marginal cost of manufacturing an additional product using a nanofactory is so close to zero, people in poverty have the most to gain if nanotech is widely adopted, and the most to lose if it is restricted. On the other hand, nanotech opens up a dangerous Pandora’s box of problems that few people have even begun to understand. Nanoengineered weapons are in fact one of the greatest threats to humanity’s future that have yet been imagined. Even if the threat of extinction were as low as 1/100, that’s a 1/100 chance of the entire human future being destroyed, a future that potentially consists of trillions and trillions of beings experiencing worthwhile lives. It would be ethically prudent to hold back this technology until we can be better reassured that we can handle it with minimal risk. Unfortunately, in the real world you can’t hold back a technology once international research gets started and investors are pouring money into it, which has already happened for nano. The upshot is that it might actually be beneficial for humanity if nanotechnology did end up being released to the public slowly, or in low-performance versions that make for a more fluid transition from manufacturing technologies of the past. But is that really practical once other companies and governments see the tremendous power of the technology and start developing their own versions? 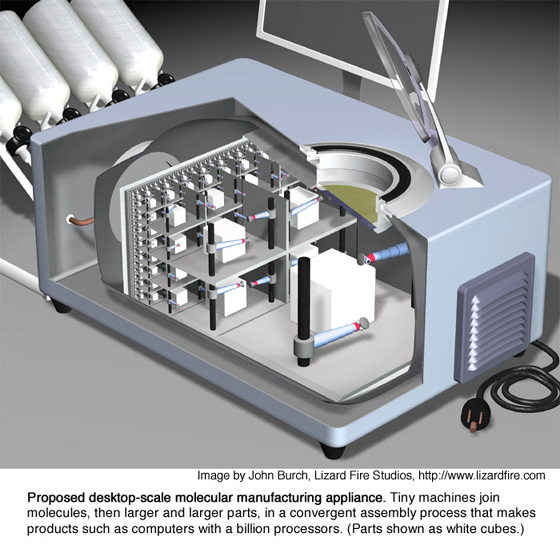 By 2020, and potentially as early as 2010, we will know enough about carbon chemistry, kinematic self-replication, and nanoscale positional control to build a desktop nanofactory  a machine that uses many trillions of tiny arms to put together macro-scale products. Because tiny arms can move incredibly fast, they will be radically productive. It has been estimated that a 100 kg nanofactory will be able to manufacture its own weight in product in about three hours, perhaps less. 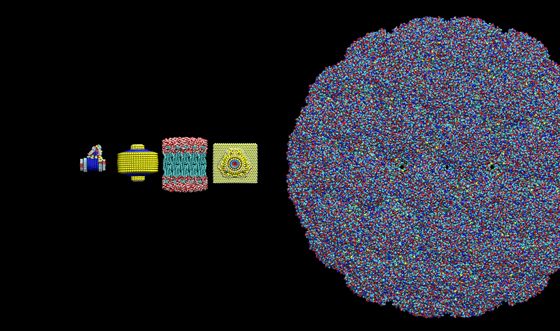 An assembler would basically be an artificial ribosome. Ribosomes are the little machines in the cell that manufacture every protein in your body. Its basic design hasn’t changed in over a billion years. Feasibility arguments for molecular nanotechnology (MNT) are well-documented in the literature. Its not a question of if, but when. The technological and sociological impact of personal nanofactories (PNs) is certain to be extreme. If regulations permit it, you will be able to construct, right in your very home, just about any structure allowed by the laws of chemistry and available feedstock. All current manufacturing, communication, and transportation processes will be fundamentally restructured over a period of mere years or even months. The first nanofactories are likely to use carbon feedstock, meaning most of the products will be made out of diamond. Water may be used as a ballast for some diamond products. Products built using MNT will be extremely cheap: around the cost of their raw materials. This is because human labor, the primary cost of manufacturing today, is largely subtracted from the equation. 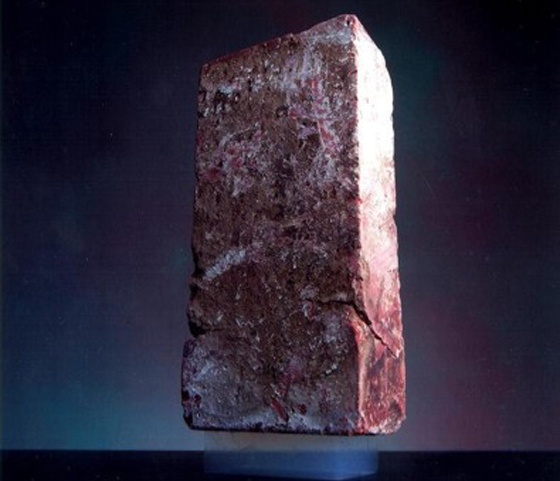 Carbon is extremely cheap, and can be mined by the megaton from practically anywhere. Power requirements are modest. Made of diamond, a nanofactory will not require much maintenance. Quickly, typical products made of plastic, ceramic, or metal will be redesigned to accommodate the new diamondoid medium. There will be diamond plates, diamond tables, diamond cutlery, ovens, coffee makers, microwaves, tiles, walls, chairs, televisions, cameras, printers, scanners, shelving, windows, computers, pens, notepads, pottery, showerheads, and so on. Something like 90% of all manufactured products will be replaced by diamondoid versions. This is what Neal Stephenson was thinking when he wrote a book called The Diamond Age. MNT has been called “magic”, and the word choice is not entirely inappropriate. We will be able to build products with greater performance and more diverse functionality than anything you or any university Ph.Ds have imagined. All shortages of energy, food, water, and shelter will be rapidly solved, as long as nanofactories are made available to developing countries. Subdermal heaters, nanoproducts designed to do little more than generate waste heat, will eliminate the problem of obesity practically overnight. The size and range of products will be limited only by whatever regulations are built into the first round of nanofactories. Hopefully these regulations will be extremely strict. You see, nanofactories will be the most dangerous technology that mankind has ever faced, thousands of times more dangerous than nuclear weapons. Sniper rifles that weigh less than 5 kg, capable of firing a lethal projectile at Mach 10 towards any target within my line of sight. Extremely light and strong armor capable of stopping 10 kg explosive shells moving at 10 km/sec. Metal Storm systems which fire as many as 1,000,000 projectiles per minute through ballistics arrays. UAV swarms capable of actively neutralizing very large rockets, providing comprehensive area denial, working together to disassemble buildings, etc. Highly maneuverable VTOL craft able to destroy almost any number of F-22 Raptors or F-35 Lightnings. Gigawatt-class, solar array or nuclear-powered microwave beams capable of completely melting tanks, aircraft, destroyers, incoming missiles, etc. from hundreds of miles away. Isotope separation systems that enrich uranium efficiently, at great speeds, giving enough fissile material to make bombs in days rather than years. Gigantic lenses capable of redirecting sunlight towards arbitrary coordinates in extremely high concentrations; a solar furnace. Missile swarms composed of individual missiles about 1 meter long, carrying 1 kg warheads, manufactured by the millions, capable of traveling through the upper atmosphere and surviving reentry. Anyway, the point of all this is simple: nanofactories need to be extremely restricted in the products they can build, or there are going to be big problems. The open source, anti-digital rights management, P2P-generation needs to get this. Information may want to be free, but if weapons designs are readily available and manufacturable in the post-MNT world, there are going to be problems of the likes we’ve never seen. To minimize the risk of danger, the safest option is to have all product designs authenticated by a central authority. Yes, that scary phrase, “central authority”. This central authority needs to be capable of determining which designs are safe, maintaining an extremely high level of nanofactory security, and enforcing the law when people try to circumvent it. The libertarian dream of minimalist government, unfortunately, must be discarded. When it comes to managing magic, decentralized solutions simply won’t do. There needs to be a global standard and global regulations. Rogue states won’t do, either. One rogue nation could use MNT to manufacture enough weapons to turn the capitals of any opposing nation, no matter how large, into a series of smoking craters. This is a risk we shouldn’t be willing to take, and once the potential of MNT starts to sink in with higher-level government officials, they won’t. Life extensionists: realize that the greatest risk to living longer is not actually aging, which we will eventually defeat cleanly, but existential risks of the type we frequently discuss, including superintelligence and nanotech arms races. You can extend your expected future life more by lowering the probability of these disasters than through any other means.